The NBA trade deadline is coming up on Thursday and some rumors are floating around about potential mega deals taking place prior to the deadline. More than a dozen teams are seriously pondering making at least one deal, while top-tier players such as Goran Dragic, Brook Lopez, and Lance Stephenson are on the block. Mega deals is a loose term that here means at least one potential All-Star is involved, such as Stephenson or Dragic. Check out six potential mega deals below. The Brooklyn Nets have been rumored for a while to want to offload one or more of their overpriced triumvate–Deron Williams, Joe Johnson, and Lopez. This deadline idea would have the team move all three, taking in a host of players in return. The real winners, though, could be the Hornets, who get incredible firepower on the wing with Johnson and Wilson Chandler. 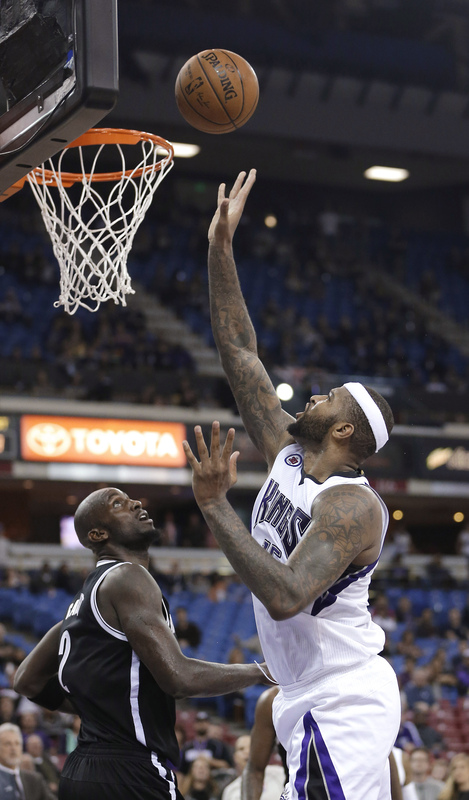 Two insightful basketball analysts recently discussed how teams are most certainly inquiring about DeMarcus Cousins, who seems increasingly disenfranchised in Sacramento. “I think a smart, proactive team would call them and say here’s a godfather offer for DeMarcus Cousins,” Zach Lowe of Grantland told Bill Simmons in the B.S. Report podcast. A Phoenix Suns blog, Bright Side of the Sun, came up with a so-called godfather offer, which includes several young players as well as two draft picks. 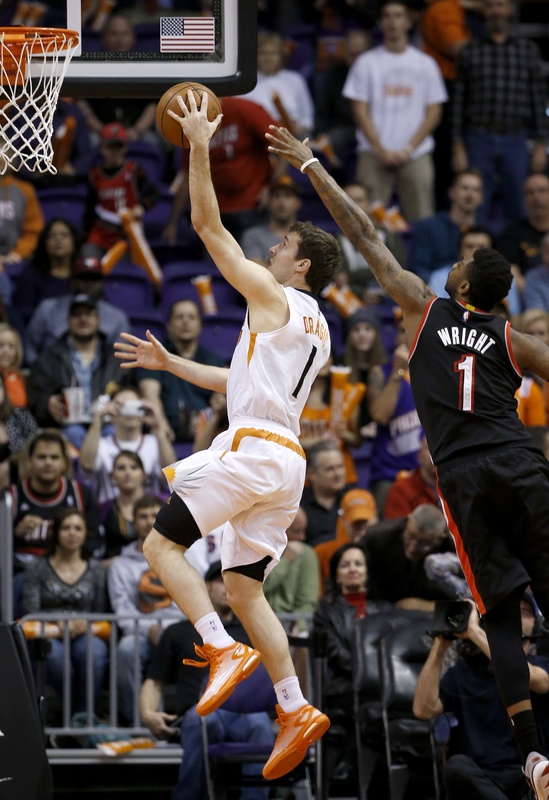 Goran Dragic is one of a number of players that will be unrestricted free agents after this season, therefore placing them on the block. The Suns want to re-sign Dragic, reported Adrian Wojnarowski of Yahoo, but aren’t opposed to moving him if the price is right. Phoenix wants an All-Star potential player and at least one high draft pick. The Rockets have both these assets. Houston really wants a top notch point guard and are confident they can convince Dragic to re-sign after this season. What could help their cause? Acquiring Goran’s kid brother Zoran in the deal, and maybe even giving him a little playing time. This trade idea comes from the author. 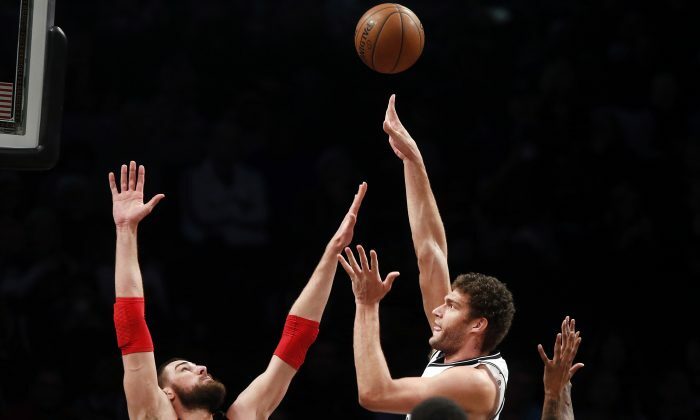 The secret is out by now–Oklahoma City wants Brook Lopez, and is willing to give up Reggie Jackson and even one of their other ongoing projects in order to get him. Brooklyn reportedly snubbed OKC earlier in the season, although the exact specifics of the nearly completed deal weren’t made public. In this version, the Thunder get a prospect to replace the outgoing one, while the Nets get picks since Jackson could flee after this season as a restricted free agent. Another potential deal involving Dragic has him going to the Rockets but the Nugget stepping in as a third trade partner. In this version via ESPN, Denver gets two young prospects as it sends away an established player. Phoenix needs a boost on the wings and Wilson Chandler can also play the four in a pinch, as P.J. Tucker does at times. Increasing chatter indicates that Phoenix believes its best shot at re-signing Dragic is sending Isaiah Thomas away, giving Dragic the ball more and trying to go back to what worked last season. Miami, meanwhile, is on the phones looking at potential deals, including with the Suns, reported Ethan Skolnick of Bleacher. In this potential deal, also put forth by ESPN, Thomas and Gerald Green, who will be a free agent this offseason, would go to the Heat for a big piece.